Refresh your eyes and book your eye test online with Vision Express and your eye test will only cost £10 if you book before 25 September. 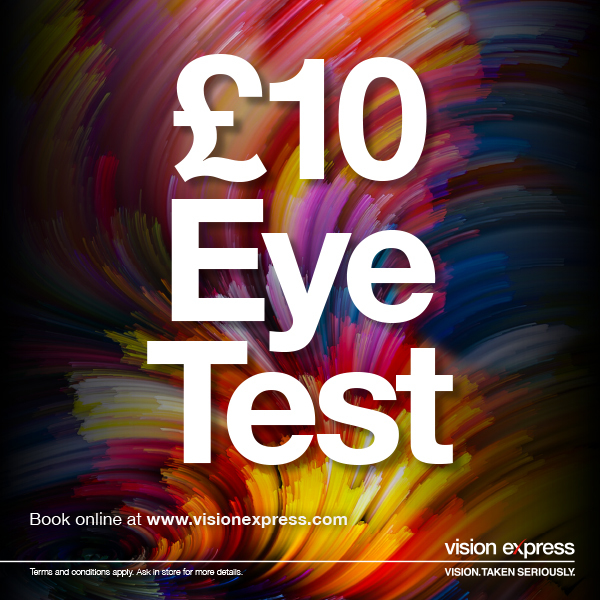 Once you have made your booking via this link http://bit.ly/2L1lAAO you will be sent the £10 eye test voucher redeemable in-store when you attend your appointment. The voucher is only valid for a month after receiving it.